To set up your profile’s portfolio, click on your avatar at the top-right of the page. 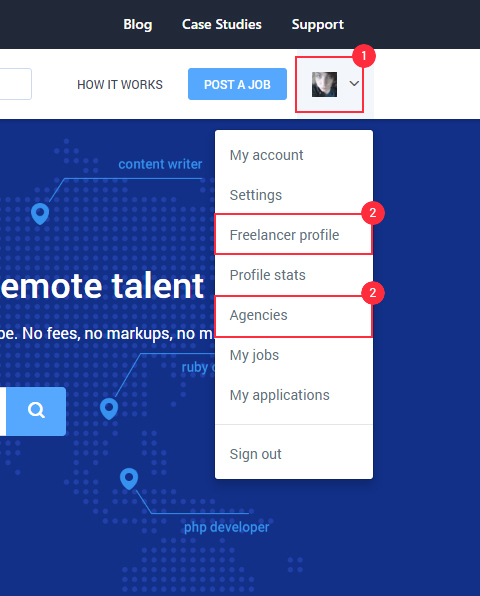 If you’re a freelancer, click “Freelancer profile”, or if you run an agency, click “Agencies”, then “View” next to your agency. On your profile, click the “Portfolio” tab. You can drag files directly into the box, or you can click “Upload files” to select the files you want to upload. 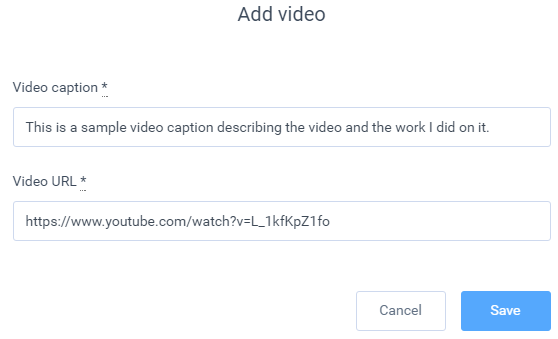 If you click “Add video,” it will ask you to input the link to the video and enter a caption for it. 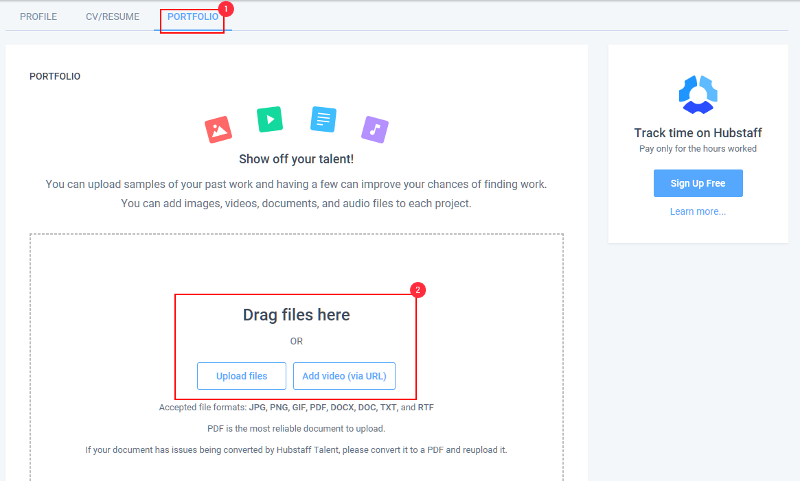 You’ll then be able to see the files that you uploaded and the captions you added by clicking on them in your portfolio.